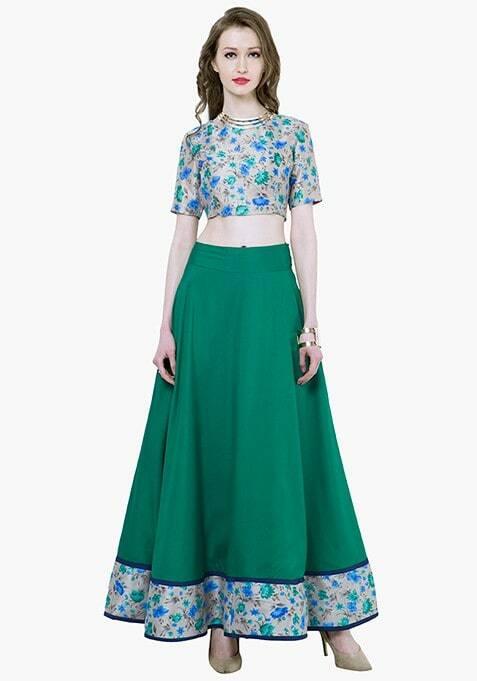 A perfect blend of ethnic and western style, this maxi skirt is a must-have in your wardrobe. Features a stunning floral taping along the hem, voluminous flare and side hook & zip closure. Work It – Team it with a bright colored crop top and a pair of pumps for a festive-ready look.